The Turkish people are a distinguished force in the adoption and development of cryptocurrency and blockchain technology. The Turkish commitment to community participation and technological innovation in the global digital assets marketplace springs from a modern social vision wishing to be unburdened by fluctuating currencies and regional political risk. 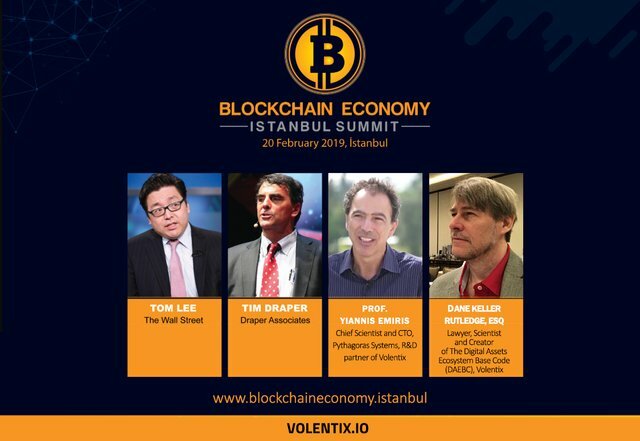 The Volentix Digital Assets Ecosystem (DAE) is especially proud to be exhibiting and speaking at the BLOCKCHAIN ECONOMY ISTANBUL SUMMIT on February 20, 2019. Attendees at the conference are expected to approach 5,000 in number and online viewers are projected to exceed 10,000. Volentix began as an array of individuals each of whom experienced the frustration and dismay associated with early failures in the cryptocurrency marketplace, especially the losses of stake associated with massive hacks and insider fraud unfortunately emblematic of the early years. The Volentix philosophy is one of decentralisation within a transparent platform. We are developing a decentralised exchange in order to remedy the problems still embedded in the system today. 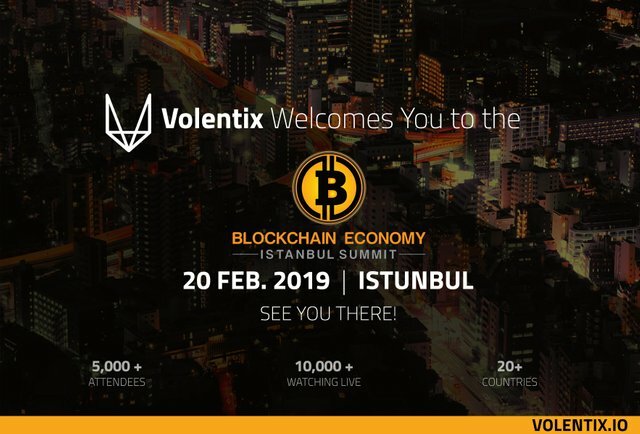 In its quest to develop a peer-to-peer, decentralised trading network, VOLENTIX realised that certain other tools are vital to building a sustainable community. We have engineered VERTO, a downloadable multi-currency wallet, VESPUCCI, an analytics engine to deliver meaningful data for rating digital assets, and VENUE, an incentives-based educational and promotional application to recruit a robust community. Along with VTX, our native digital currency, and VDEX, our developing exchange, these digital applications blend together to form what we expect to be a comprehensive user experience within a Digital Assets Ecosystem (DAE) premised on behavioural standards integral to a supportive community. If you want to talk to us and connect, you can find us in our Telegram Channel. Thank you @buona4tuna ! We are happy to see you there. Thanks for your encouraging words! VILENTIX have Passionate People ! This is good news for blockchain economy starting the year with a big boom! I would like to watch this live. I wish I was in Istanbul with you people. Thank you so much for this article. Indeed Blockchain Economy Summit:Instabul , is one of the most important events in this field. Investors,engineers from all over the world will join this conference debating hot topics!Let's see how it goes. We are waiting to see you all in Istanbul! It will be a fruitful event indeed! @steemium purchased a 80.47% vote from @promobot on this post. About 169.99$ has been spent to promote this content. A talk with Tim Draper & Tom Lee is a very informative one. Thanks! What did you find nice about our article? Please share your feedback! It would be great!